I can't remember how and when I became a cookie monster. My parents never indulged us with cookies. They were yuppie 80s era parents who believed kids had to eat healthy, and the only lunch box stuffers we got were carrots, labneh sandwiches, "cold" grilled cheese sandwiches, apples, soggy pears or over ripe bananas. I used to drool over the contents of the French kids lunch boxes: sugar crepes, baguettes with Nutella and the famous BChoco cookies! Decades later when I found those BChoco cookies in the aisles of French supermarkets, I bought shopping carts full of them for my own kids. In the mid eighties, my parents began purchasing French imported goods when we spent summers in Washington DC: Perrier water, individual fruit flavored Yoplait yogurts and LU cookies. The latter were stored in a porcelain cookie jar in the kitchen. Every night, I would sneak into the deserted kitchen and carefully lift the porcelain lid and gobble down a few. What a treat those butter cookies were! I still remember the day when my dad requested some from the Indian cook who lived with us, and he responded: "they are all finished Sir". " 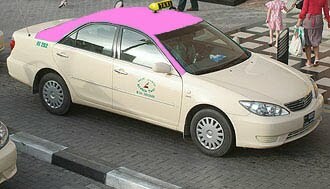 But we just bought them Suresh! ", my father retorted. "Yasmine at them all, sir!" 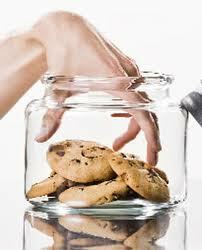 I was literally caught with my hand in the cookie jar! When I gained my own independence in Swiss boarding school, I tried a large variety of Swiss cookies. The box was usually consumed by the time I walked back from the supermarket to the dorms. I had the same lack of control with freshly baked cookies at Smith College! Perhaps the craze dwindled when I was in graduate school, and the cookie boxes lasted longer. With all my diets and efforts to shed weight, the cookies were the very last indulgences that I scratched off the menu. Till this day, I walk the cookie aisle in supermarkets with care, examining the labels, selecting and sampling. In Dubai, my preferred cookies are the Marks and Spencers because they are the most authentically European. 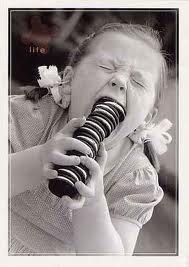 But I don't mind Oreos, come to think of it, yum! My efforts to scratch cookies off my menu were resolved by eating SpecialK bars. How I fooled myself to believe that they were the best condiment to coffee! However, when I began my strict protein diet, I had to renounce even the last "bastion" of cookie land, the Special K bars! Fortunately, the difficult to find ThinkThin bars are my latest solace. My husband calls me Cookie Monster with affection because he knows that he can sometimes - on those episodes when I am off the protein diet - find the widest array of cookies, tucked in my purse at coffee time!